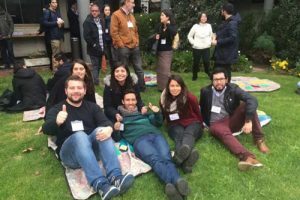 BraveUp, a mobile platform that enables inclusion among stakeholders in educational communities, is now being used by 15 schools and 8 universities in Chile. The application facilitates communication by providing the necessary tools for messaging and diffusing information within the community, thus centralizing communication within one platform. Additionally, BraveUp’s psychology team actively works with communities to prevent and stop bullying in schools. The company offers specialized anti-bullying services for different community members: educational talks for students and families, workshops and trainings for teachers, and counsel for administrators. BraveUp connects school communities across Chile through technology, while raising bullying awareness to promote a healthy and positive coexistence within these communities.